Relax in exceptionally spacious suites with full kitchens. 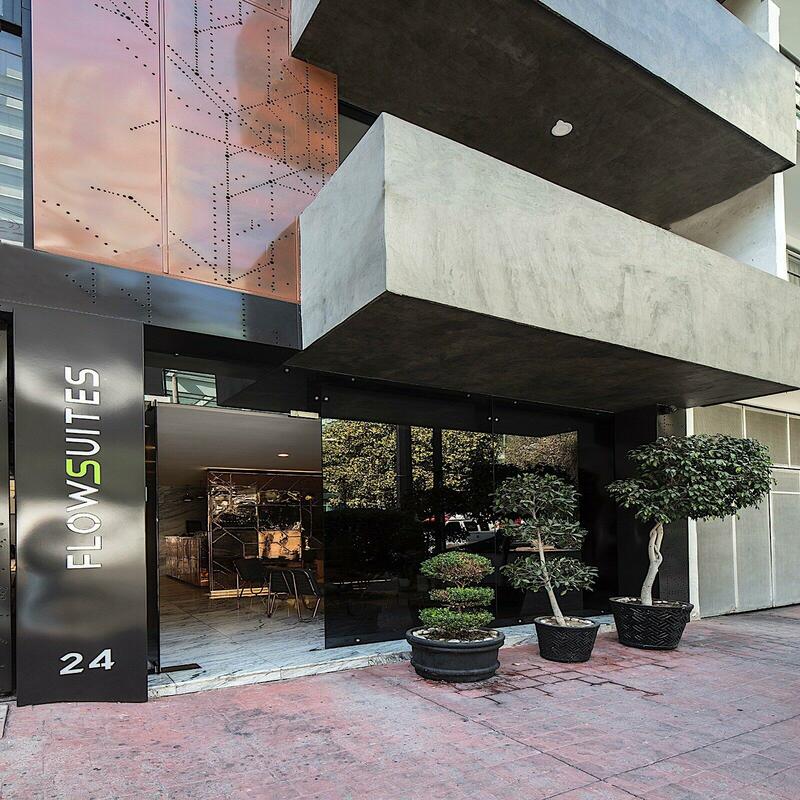 Step into FlowSuites WTC hotel, a chic, modern luxury hotel located in the Mexico City’s premier business district, just steps from the Condesa and Colonia Roma neighborhoods, which have been designated jointly as a “Barrio Mágico Turístico” (“Magic Neighborhood for Tourists”). 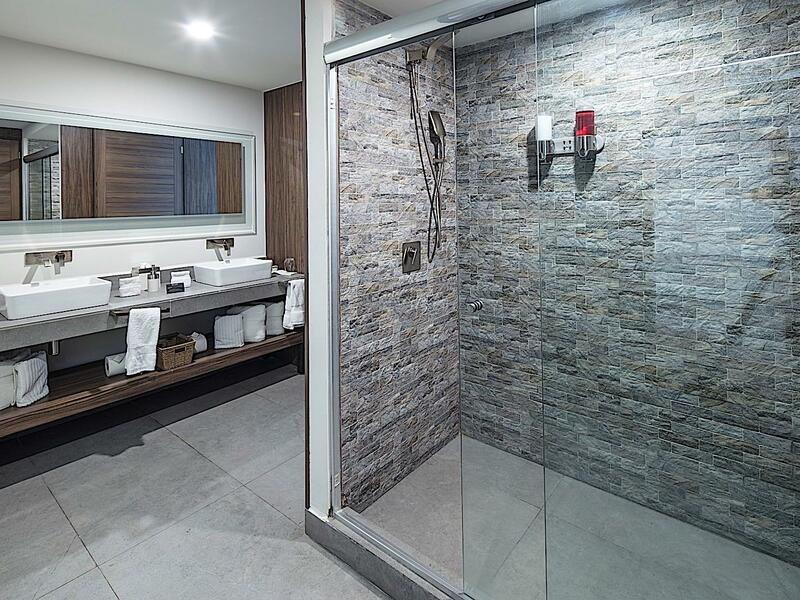 Enjoy unmatched privacy and comfort for business and holiday stays. Decorated in an eye-catching Art Deco style, our hotel features 23 suites that are among the most spacious in Mexico City. 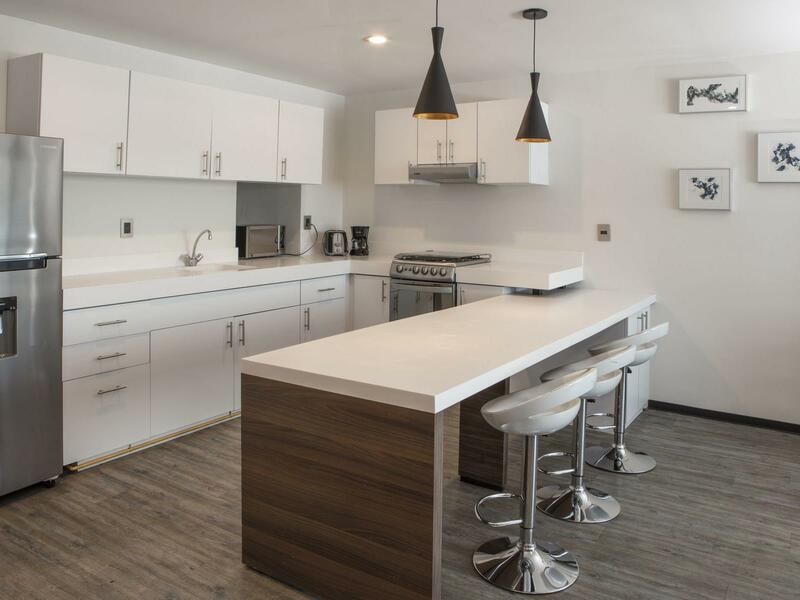 All are equipped with full kitchens, SMART TVs with cable, complimentary Wi-Fi and luxurious pillowtop beds. Additional complimentary perks include parking and a hot continental breakfast each morning. 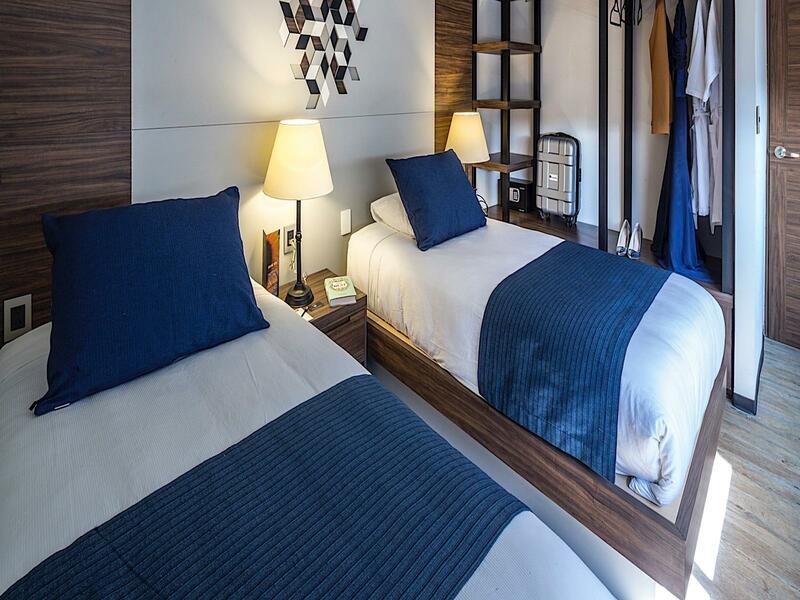 Experience FlowSuites WTC hotel just once and you’ll agree this is the place to stay every time when you’re in Mexico City. Ideal for solo travelers or executives, our 48-square-meter Twin Executive Suite offers a full kitchen, two single beds and a living room. Our Loft Suite measures 34 square meters and is equipped with a Queen bed, full kitchen, living room and private balcony with city views. 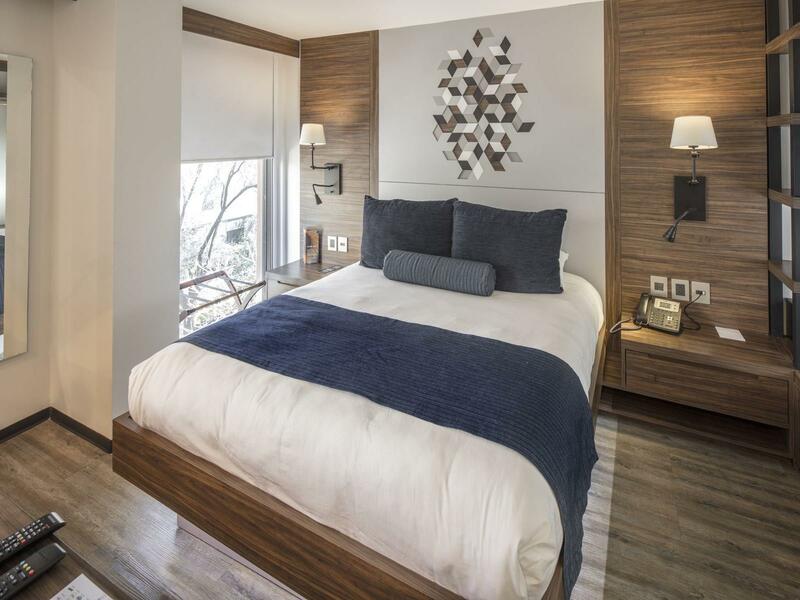 Measuring an expansive 90 square meters, our Penthouse features one bedroom with a King bed, a second bedroom with two twin beds, a full kitchen, living room and terrace with city views. Measuring 48 square meters, our Executive Suite is equipped with a King bed, a full kitchen and a spacious living room. 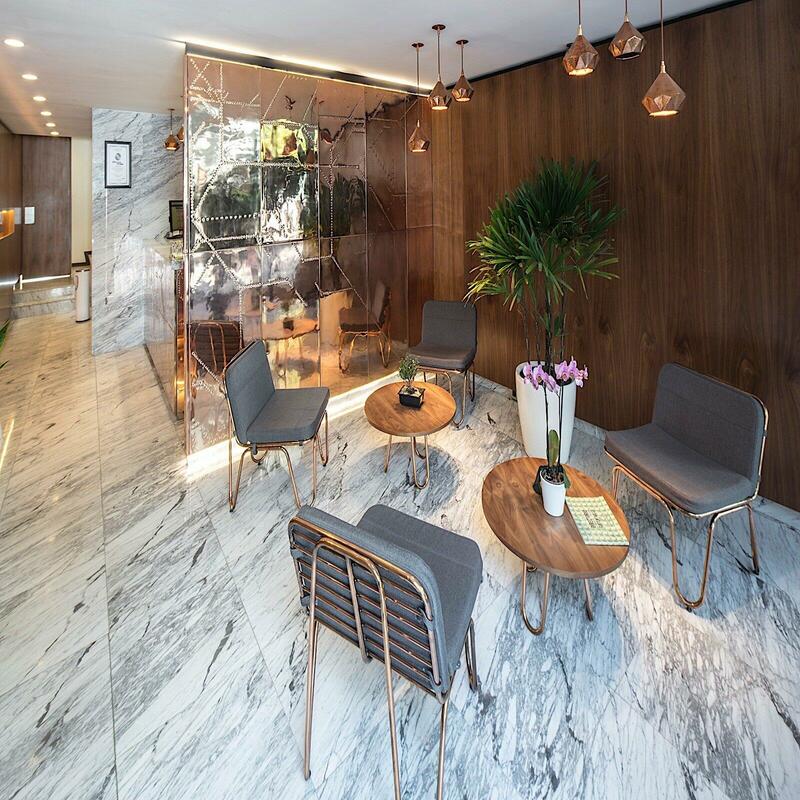 Located in one of the best business areas of Mexico City, FlowSuites WTC has everything you need just a short stroll away from restaurants, coffee shops, art centers, museums and more. Whether work or play brings you to Mexico City, our warm, friendly service and exceptional amenities will ensure a relaxing, rewarding stay.